Like most people now, I don’t watch a lot of live TV. But Utah is playing Oregon tonight and it’s actually on free TV so I’m watching it. The game is going well for us Utah fans. I’ve seen a commercial a few times now upon which I must comment. To tell you the truth, I can’t recall what the commercial is about but it starts with a man microwaving his burrito in a typical corporate breakroom setting. Cut the lights and cue the music. The 80’s Hair band Europe shows up on the far side of the breakroom, fireworks shooting sparks and smoke from the slow moving stage crawling towards the burrito man. He looks at the timer counting down at 12 seconds. 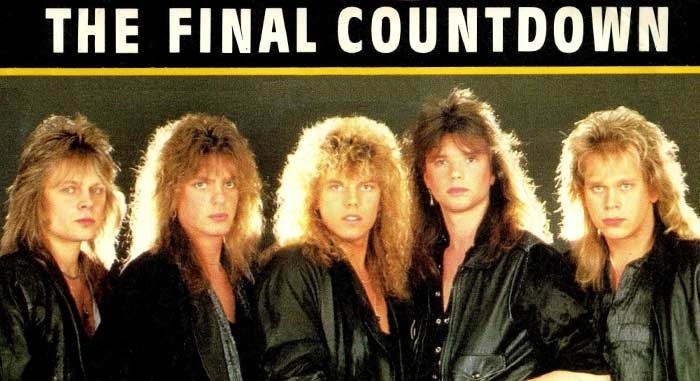 “The Final Countdown” They sing over and over. People clear out of their way, a few bobbing their heads with the music but most disgusted by the intrusion. This is exactly how I felt when I had to endure their opening act performance when I went to see Def Leppard.